During an interview a couple weeks ago with Keely Hawes, Chris Evans called the show his ‘new Downton’, and I couldn’t agree more. It’s perfect for Sunday nights – easy viewing, a bit of humour, some romance, intrigue and just a really lovely storyline. Set in the 1930s, Mrs Durrell, Louisa, widowed, makes a snap decision to pack up her family and move from dreary Bournemouth to the tiny, and at that time, incredibly exotic, island of Corfu. The series follows the lives of Louisa and her four children, Larry, Leslie, Margo & little Gerry. Their triumphs and misdemeanours as they get to know island life are delightfully funny, each week allowing us to fall further in love them. From the iconic Durrell family home, to careering around the island in Spiro’s car, the scenery is absolutely stunning. I challenge anyone not to want to tour the Greek islands after just one episode. 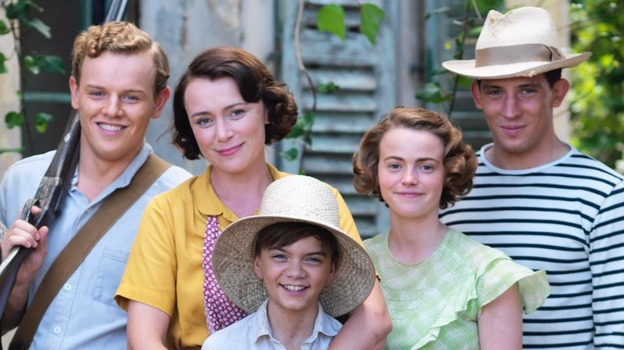 The opening episode for series 2 of Indian Summers did not disappoint. The drama picks up on 1935, where an attack on the Viceroy of Indian reveals that Aafrin has been plotting his revenge, and by the looks of things will not go quietly. For those of you who have not seen series one, this is one of those programmes where you will benefit hugely form watching it. Set in Silma, in the foothills of the Himalayas, the series explores the actions of the English ruling classes in India as the country begins to fight for independence. It follows the affairs of Ralph and Alice Whelan, who are both quietly controlled by the fabulous Cynthia Coffin, played by Julie Walters, the owner of the exclusively white Royal Simla Club. Lies, secrets, affairs and even murder shape the plot line, every scene executed in an enchanting landscape. The costumes are also out of this world, each outfit carefully researched and created using original materials and methods. 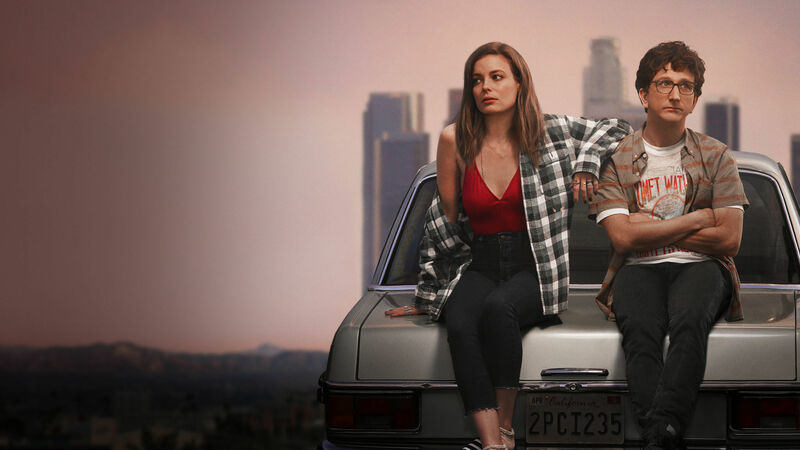 Set in Hollywood, Love is another genius creation from Judd Apatow, created for Netflix. It follows the ‘will they, won’t they’ love life of Micky and Gus, two twenty somethings trying to figure out what it is they want from relationships, life and love. Gus, an aspiring writer and ‘on set tutor’ for the star of a Wichita, a popular TV teen drama, is stable, grounded and focussed. He meets Micky, the bad girl/complete disaster and his world is turned upside down. The show is set in and around LA and it is Micky’s relaxed LA vibe, the weird and wonderful nights out followed by the daytime hangovers that make me want to jet out to LA immediately. It’s a brilliantly awkward comedy, dark and sort of addictive. I had given up completely on MIC a few seasons ago, but the adverts for the current LA season had me intrigued – probably after watching and enjoying LOVE. The storylines are still ridiculous and if you get over the cringe set up scenes, the setting, a bit like the New York MIC series, makes me want to jet off to sunnier climes. There are lots of outdoor drinks, pool parties, summer dresses, serious sunnies and beach scenes. Ok, so the characters are a bit annoying, but if nothing else, it will help to plan your holiday wardrobe! Ready for a holiday? Pop over to my Travel section for some more ideas of where to jet off to next. Indeed! The Durells so evoked family Corfu holidays in the 1980s I have booked to return in September! I think the series will be enhancing the Greek tourist trade! !